After the two previous entries in the series " Get Organized in September ", in which we have referred to different types of organization-oriented applications and text editing tasks, back with the latest installment. This time dedicated to academics, so that students can take advantage and exploit the full potential of your iOS device with applications that serve to fight the daily classes, exams, presentations, etc.. These applications are: Penultimate, and Keynote iStudiez Pro. We chose these applications according to three criteria: take notes , prepare presentations and organization and planning agenda . We will discuss and list the features of each of them, but mostly, we will focus on the pros and cons that we observed after testing them. Certainly for most users is the application of choice when it comes to taking notes by hand (handwritting) or draw quick sketches on the explanations that develop in class. For this reason, we believe it is essential that a student who has an iPad (since it is only available for the Apple tablet), this application is worth the time to take notes. This is an application where the user can manage your notes by notebooks and can create many you want (one book per subject for example) to get everything organized. In addition, different types of notebooks with different types of leaves (smooth lines, graph paper, etc. ), to better suit the type of information that we are shaping it. Moreover, as editing options, we can choose between several types of pen thickness and various colors. This application also has the ability to share your work via email (as a particular page as the whole book), send the page as photo selected by iPhoto, convert PDF document and even print the desired workflow e- Print. Once tested the application, we can say as defects to improve, which is somewhat short on the choice of different colors (should be able to choose more). Neither do we have the ability to create different styles of pages in a notebook, ie , all pages must be the same type. Finally, although it is somewhat evident in this type of application, for a better use of it, we must avail ourselves of a stylus to squeeze the possibilities in terms of speed and workflow management in question. 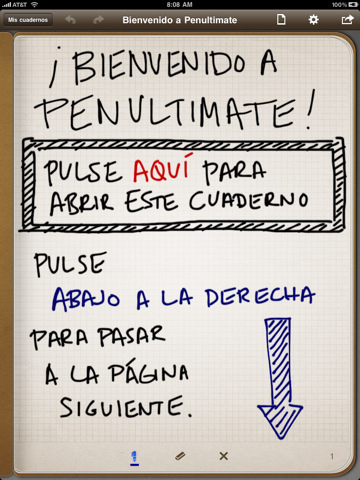 Sum it all up, this is a very good application to take notes by hand, only available for iPad, in different languages ​​(including Spanish) and priced at € 0.79 AppStore. We reached the highest score by applying broadly users for creating and editing presentations. 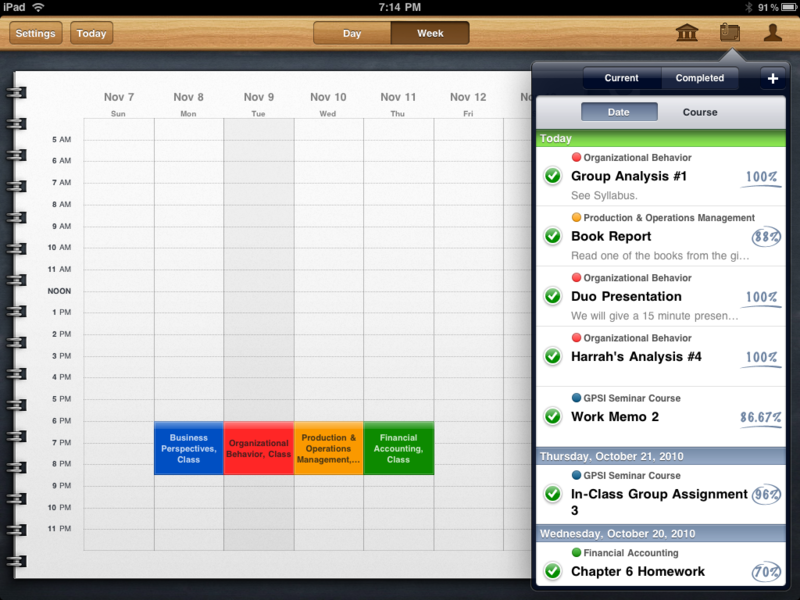 Keynote speak, the official app for Apple elaborate presentations. The app features 12 different topics and many animations in terms of transition effects. Options as import videos and photos are made ​​in a very simple, like creating the tables and graphs. 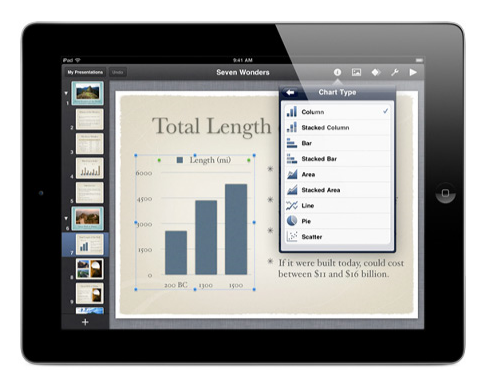 Best of the application, in our opinion, is that is very compatible we want to import presentations of PowerPoint, so it does not close the option to share the job with another similar application to export PDF files, sending the flow email and, of course, follow the iCloud work where the user left it from any iOS device and Mac OSX. Another great advantage: with Keynote can show our work via Airplay on a TV or projector. However, many users have complained that it lacks the option to export the presentation as a video. 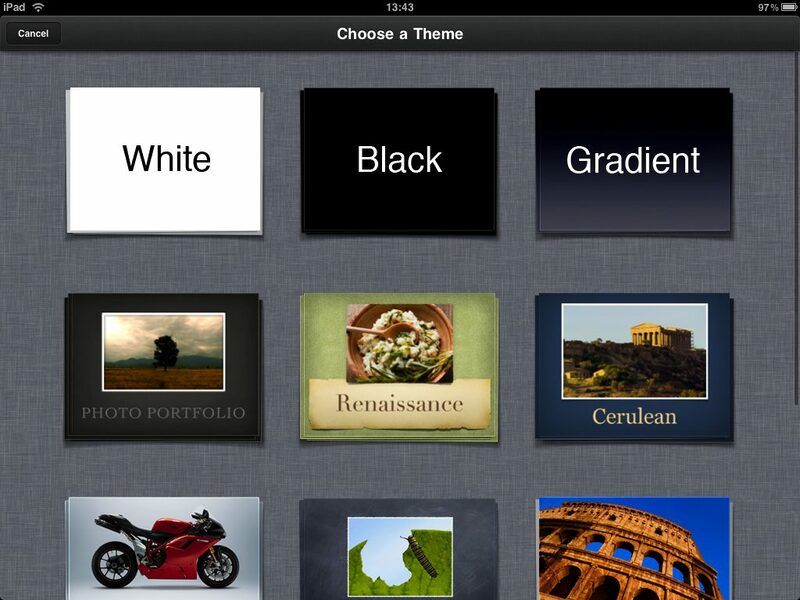 Keynote is available in the AppStore at a price of 7.99 € and compatible universally with iPhone, iPad and iPod Touch. This application has certainly been a revelation, as its simplicity coupled with an exciting and intuitive graphical aspect has made ​​it the choice for many users who contemplated as serious option help from your iOS device in their day to day student. Definitely has own calendar to record any type of event, time, review, presentation, etc. The application allows us the ability to create various types of schedules, create a profile for each teacher and attach it to a particular subject. Also, we take notes and, what is very important, adapt for a subsequent search as to whether they have been carried out or not. We also set different alarms for each subject or task, warning that swing that once we scored but the day comes surely had forgotten. 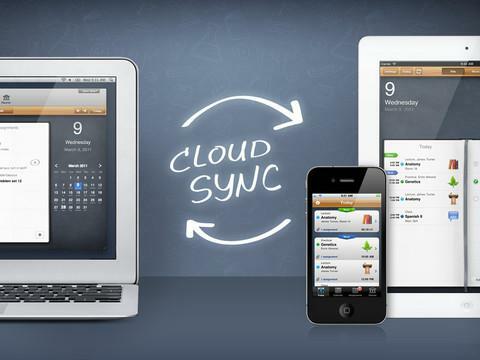 Its great advantage, besides being a free and universal, iCloud is for compatibility, so it will be no more excuses for having missed a class, a change of group practices or simply work to deliver or perform examination. In return for the pros on the application, some users have experienced slowdowns at times, so hopefully this note and the next update is remedied. As always, we want to hear your opinions and experiences about the applications described in the entry as other alternatives that you were able to test. Encourage them and write!